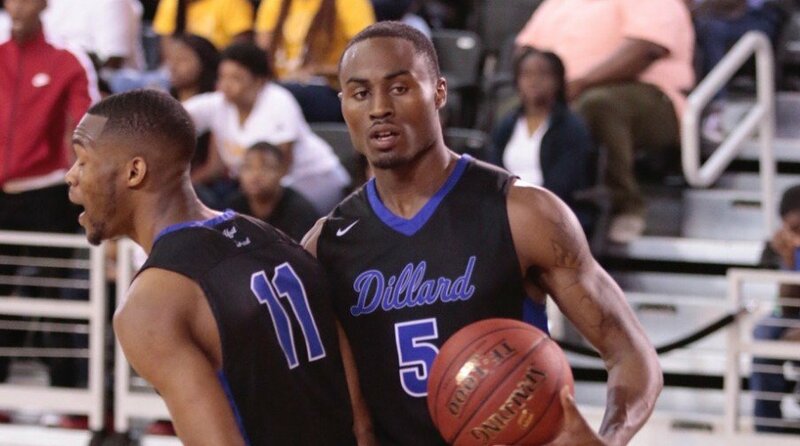 NEW ORLEANS (DU) – Jorori Coleman got off to a hot start scoring the Bleu Devils first eight points as Dillard led from start to finish defeating No. 22 Xavier (La. ), 79-65, Saturday night at the Convocation Center. Coleman finshed with a game-high 25 points and seven rebounds to help Dillard register its first regular-season sweep of Xavier since the 2000-01 season. It was also the Bleu Devils sixth straight win against the Gold Rush. The Bleu Devils led by five at the half (32-27), but Xavier’s Jalen David helped keep the Gold Rush close, scoring seven points to start the second half. Dillard kept its composure and never relinquished the lead, but Xavier made it interesting cutting the deficit to single-digits, 70-63, with 1:10 remaining. However, the Bleu Devils knocked down their free throws late to secure the victory.